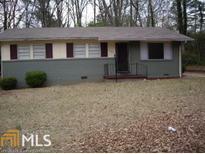 Find Atlanta, GA Foreclosures for sale. View Photos, Maps and MLS Data Now! Seller Is No Longer Accepting Offers. MLS#6535678. Palmerhouse Properties. 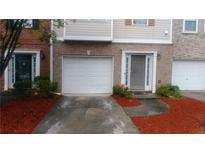 Highlands At Akers Mill - Large Walk In Closet, Updated Bath And Full Size Washer/Dryer. Balcony View Overlooks Natural Area. MLS#6534179. Harry Norman Realtors. Spring Park - Case # 105-389679, All Hud Homes Are Sold As-Is, Please Visit The Hud Home Store To Submit Your Bids MLS#6533203. Village Realty. Canaan Walk - Large Backyard With Deck, Pond, Grill Area And Room For A Pool. Private Neighborhood. MLS#6531694. Palmerhouse Properties. 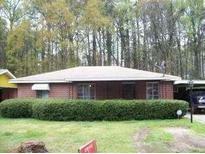 Three Bedroom And One Bath Seperate Living Room, Property Is In Need Of Tlc MLS#8553706. Today'S Realty, Inc..
No Fha. Must Use Sellers Closing Attorney MLS#6524727. Ktg Realty. 4-Sided Brick Home With A Great Backyard In The Lovely Jefferson Park Estate MLS#6521922. Maximum One Greater Atlanta Realtors. Gresham Estate - Hurry.....This One Is A Good One! MLS#6520962. 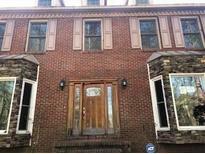 Exp Realty, Llc..
Wellesley - Finished Basement Includes A Bedroom, Theater, Exercise Room MLS#6517325. Maximum One Realtor Partners. Cascade - Call For More Information! Sold As-Is MLS#6515395. Exp Realty, Llc..
Windsor - Come View And Make This Your Home. MLS#6514474. Nation One Realty Group, Inc..
Country Club Estates - Sold As-Is. Nice Well Established Neighborhood. MLS#6513682. Exp Realty, Llc..
Sale Of The Property Is Contingent On The Prior Written Agreement To All Sale Terms From The Mortgage Holder And (If Applicable) The Mortgage Insurer/Guarantor. MLS#8532620. Abode Realty Group Llc. This Won'T Last Long! Also Available 1248 Princess Avenue. MLS#8532253. Keller Williams Realty. "This Home Is A Short-Sale, Please Allow 90 Days To Close" MLS#6509482. Re/Max Platinum Access. Waterford Commons - Great Bedroom Separation W/ Other Secondaries On Other Side Of Staircase! Updated Functionality! Awesome House! MLS#6506301. Krueger Brent Realty. 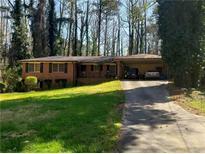 Amazing Location Close To Perkerson Park & Minutes To Downtown Atl! MLS#6506273. Keller Williams Realty Atlanta Partners. Pine Hills Buckhead - Please, Do Not Go To The House Without Appt. Confirmed During Times Listed Below. MLS#6503369. Properly. Twelve Centennial Park - Check Out All The Amenities Including, Concierge, Secure Parking, Club Room, Pool, Outdoor Grills And A Business Center. MLS#6127424. Engel & Volkers Buckhead Atlanta. 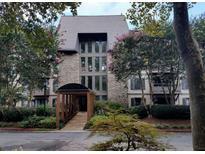 Pine Hills Buckhead - Easy Commute To All Buckhead & Brookhaven Have To Offer. MLS#6126356. Keller Williams Realty Intown Atl. 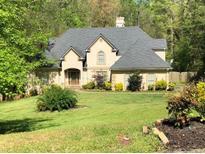 Great Property, 4 Bedrooms/3 Baths, Eat-In Kitchen With Breakfast Bar. Largest Property In Area. MLS#6123254. Palmerhouse Properties. Sold As Is, Subject To 3rd Party Approval. Estate Sell. MLS#6114864. Keller Williams Realty Atl Part.